FAYETTEVILLE, Ark. – The Razorbacks dip back into league play this weekend with their SEC home opener by hosting Missouri. The three-game set begins Friday at Bogle Park. Admission for home games is free for all fans and gates at Bogle Park open one hour prior to first pitch. This weekend marks just the fourth series between the two teams as SEC opponents. During that time which includes a matchup in the 2013 SEC Tournament, Missouri has a 6-4 lead. Overall, the Tigers lead 12-6. Arkansas took two of three in last year’s series played in Columbia. The Razorbacks improved to 14-0 at home with a sweep of Tuesday’s doubleheader against UT Arlington. 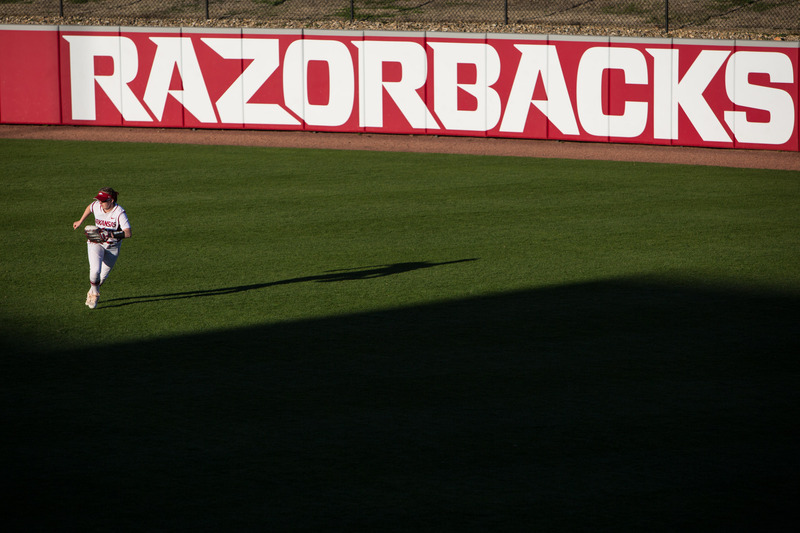 Arkansas hit four home runs including two by Katie Warrick. Ashley Diaz hit her 21st career home run to move into a tie for seventh on the program’s career top 10 while sophomore Aly Manzo went deep for the first time in her career. During her current eight-game hit streak, junior Katie Warrick is hitting .519 (14-for-27) with eight extra-base hits, 10 RBI and seven runs scored. All six of her home runs have been hit during the recent hot streak. Warrick is now tied for the team lead of six home runs with Diaz and freshman Hannah McEwen. Arkansas enters the weekend tied for fifth in the NCAA with 37 home runs. The teams also owns top-50 national marks in slugging percentage (.515), scoring (5.93 runs/game), ERA (1.74) and batting average (.304). Individually, Mary Haff 11th in the NCAA with 128 strikeouts while McEwen is tied for 12th nationally with 34 runs driven in this season.